Love the meal plan ideas when I’m fresh out of inspiration! I love your weekly meal planning. The recipes are really diverse and I enjoy making and eating new and different things. I have used your meal plans for the past 4 months. Along with daily exercising, I have lost 21 lbs. Please continue to put these out. You are doing great things. Anytime I can, I tell people about your website. Thank you and good luck with this. I LOVE YOUR WEEKLY MEAL PLANNING. The diversity of the food keeps me interested. It is perfect for my family and they actually enjoy eating these meals too. Thank you for taking your time to keep sharing. Please continue as you, along with daily exercise, have helped me lose over 21 lbs. That’s awesome Alicia! Great job! After searching through so many meal plans online, I think I’ve found what I’m looking for. The meals look delicious and easy to prepare. I love that I can print out the menu for the week and that you also incorporate leftovers so no waste. Hi Gina, I have loved your site for years and also adore your cookbook. Please continue posting these meal plans. I love to use them as a guideline each week. Yes, and with the Google doc please! I appreciate all you do with this website! I miss the calendar for this week. It is Sooo handy when you are trying to swap out meals from another day. Will you be adding it later? I hope so. These are wonderful! I don’t mind cooking, I just hate deciding! And we are trying to reign in our eating out so this has been wonderful. And the grocery list sorted by category helps so much in the store. thank you!! Also, was there s calendar for printing this week. Can’t seem to find it. They are so helpful, delicious and nutritious. Thank you so much for these meal plans! I use them every week. I seem to be missing the printable menu in Google docs; did you leave it out of this plan? Another tasty week to look forward to! The bagels are So Good! As in, I don’t know if I trust my self control with them. Thanks for the great recipe and meal plan. I love using the meal plans each week. The variety is great and I have loved all the recipes I have tried. I print the chart each week and keep it on the kitchen counter to remind myself of the meals to make. Is there a google doc/chart for this menu? Love the meal plans – thank you for making my live easier and keeping me healthy! 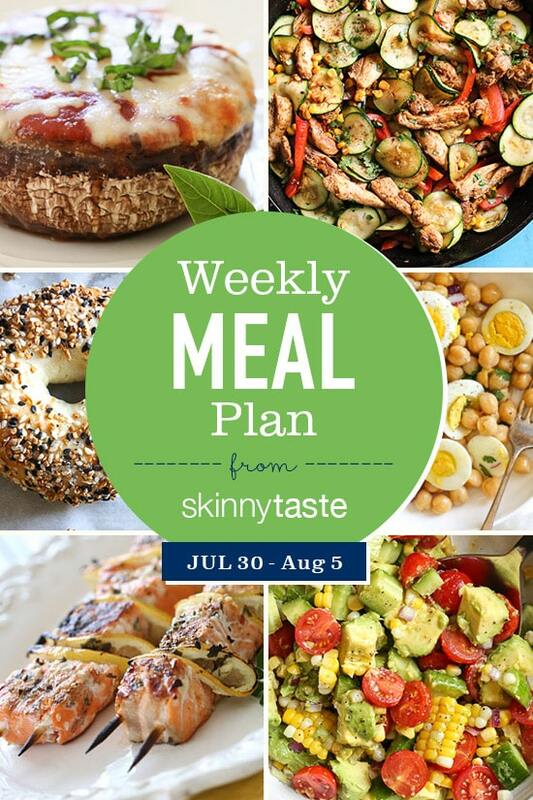 I’ve been wanting to try one of these weekly meal plans for awhile and I am definitely trying this week! Thank you for all the work! Your recipes have been the most consistently delicious on the internet. Please continue to share your weekly meal plans. They are so helpful for the WW community!!!! I love the variety and the push to try new things to. All your efforts are much appreciated. Thank you! Love these plans. Is there a calendar for this week? I definitely use these plans, and truly appreciate you sharing them! Trying to get into cooking and found your website! Going to be trying it this week! Love the meal plans! Is there a calendar for this week? i thought it was just me. Love the calendar. Save to my goggle docs so I can look up on any device. Great when I am in grocery store and need to check something really quick. It is there now! Sorry for the mix up! I look forward to these meal plans! Made the chickpea egg salad and bagels today! Thanks so much for sharing them. I have heard of your meal plans and I am giving them a shot for the first time this week! Love your meal plans. I usually don’t leave comments but I have used many of your recipes over the past few years and everyone in the family usually likes them too. Please continue the meal plans. I’m new to Freestyle and find your menus realistic and doable. Please keep them coming! Absolutely, please continue! These plans have been key in getting my points and proportions under control while training for a half-marathon! Please continue. These weekly plans have been super helpful. PPD has gotten the best of me lately and I have been so unmotivated to meal plan or cook, but your weekly meal plans are helping me get back on track. The Google docs were especially amazing. Thank you! Thanks Gina!! Love your recipes and looks like many new ones for me to try this week, as always!! Please keep them coming. Most grateful! I use your website and cookbooks daily. My only complaint would be so many great recipes, not enough time, actually meals, to make them all!! This is a great week for me! I love everything on it and not making any substitutions! Thanks Gina! Love your recipes, meal plans, website and emails. Looking forward to ordering your newest book! Wish you had a magazine, too! I agree with Cathy, I wish you had a magazine. Love you Gina, and thanks for all you do for us. Such hard work for you and we love it all. I love your meal plans. I use them and sometimes sub meals from the cookbooks although it’s always fun to find the recipes I’m the cookbooks and use them together. Yes, please continue. I am using your wonderful plans. I appreciate you doing them. Thank you for all the hard work, this is wonderful! Thanks for all your hard work, Gina! I love the recipes and shopping list! Most of all, I love the variety and flexibility your menus offer. Much appreciated!! 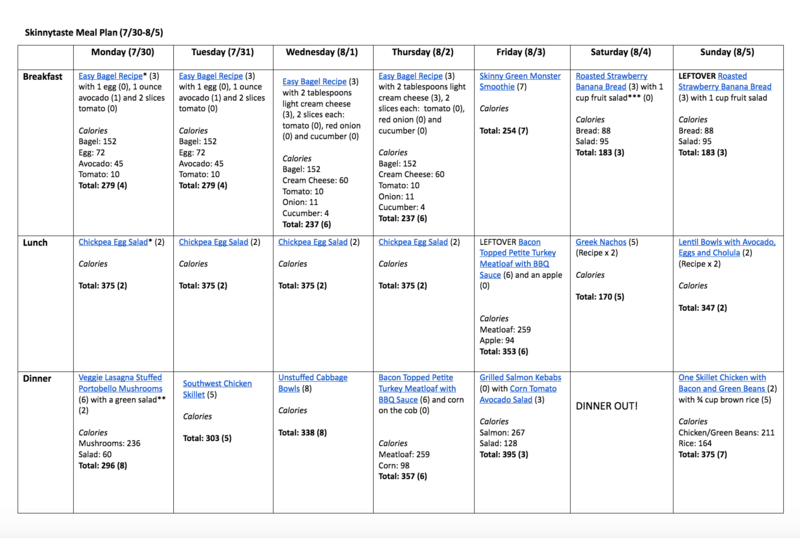 I absolutely love your weekly meal plans!! I hope you continue to make them! Please continue sharing these meal plans! My family has been following them for about a month. Both my husband and I have lost weight and feel great. Thank you! I just wanted to say thank you! I seriously can’t wait for Saturday mornings. 🙂 just ordered all the cookbooks too! I appreciate all you do to put these meal plans together. Thanks Lori! I am so glad you find the meal plans helpful! I’d like to see more meal prep breakfast and lunch ideas! I make the turkey taco scramble bowls all the time, and the harissa chicken to put in wraps for lunch, but would like to see some more. Thanks!